The word ‘hyperbaric' literally means ‘high pressure'. The use of high pressure (i.e. pressures higher than normal atmospheric pressure)and it's use in medicine is often viewed today as being somewhat new and controversial. However, the concept of Hyperbaric Medicine has been in existence since as early as 1662. The industrial revolution, when bridge and tunnel builders were working in compressed air, saw a further great development in hyperbaric chambers. It was at this time when Paul Bert reported that nitrogen bubbles were forming in tissue during rapid decompression (1876) and was implicated in “The Grecian Bend”. 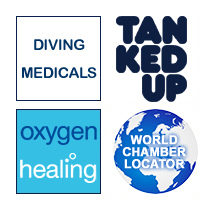 Since the latter part of the twentieth century hyperbaric medicine has gained most of its recognition for the treatment of certain mainstream medical conditions specifically related to the diving industry, including decompression sickness and air embolism.